It’s that time of year again. . Temperatures 90 degrees or higher and 100% humidity combine to drive your electric bill to the sky while making some rooms in your home unlivable. Blinds and drapes may provide privacy but the intense heat keeps coming in and your AC has to work harder and longer to get the heat out. 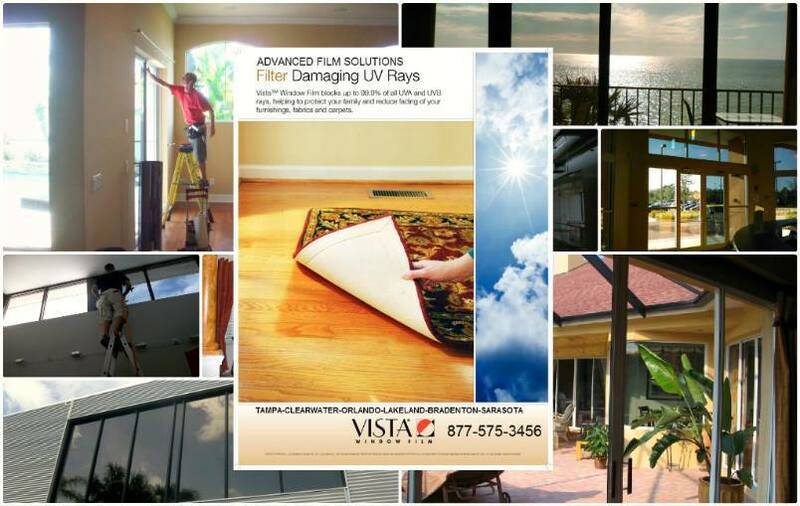 Today’s high tech window films are designed to filter out the heat before it enters your home. 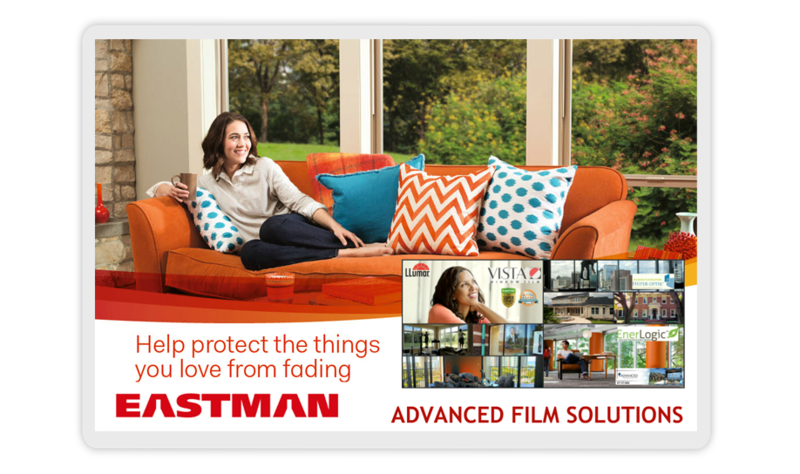 Advanced Film Solutions Eastman Window Films can factor out nearly 85% of the heat and always 99.9% of the UV. 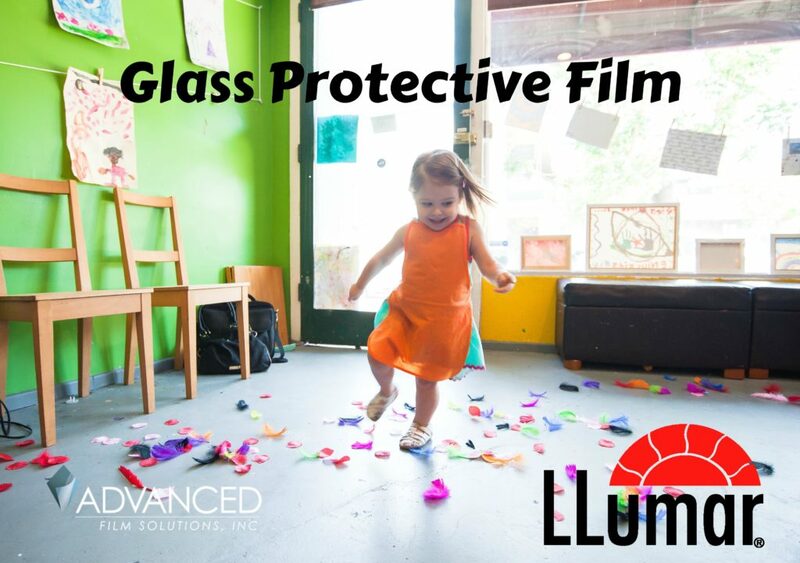 Durability is built into these films and you’ll enjoy a lifetime of comfort with a lifetime warranty. Homeowners can choose their custom solutions from scores of choices and light transmissions. Darker coatings that provide privacy or lighter infrared heat blocking coatings like the patented Huper Optik series that are ideal for deed restricted or gated communities. Imagine lowering that electric bill by 30% a month and being able to watch your TV without glare? 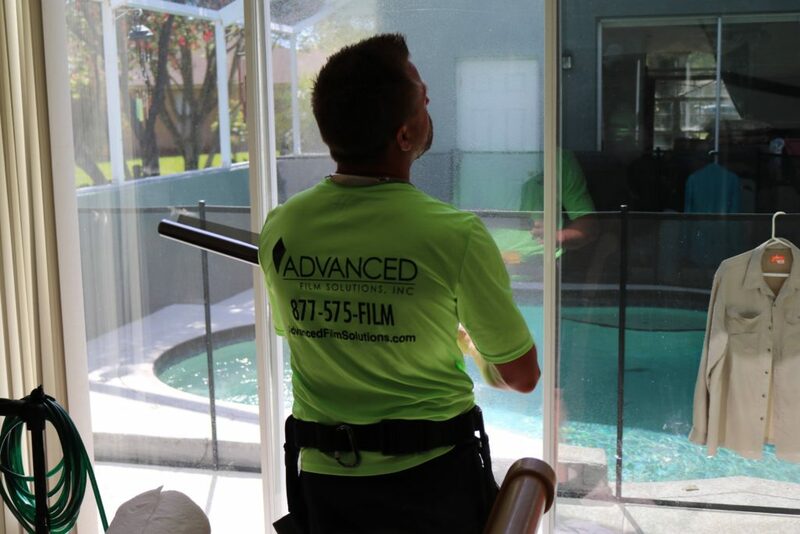 Advanced Film Solutions is Tampa Bay’s leading residential and commercial solar and solar safety security window film installation company. 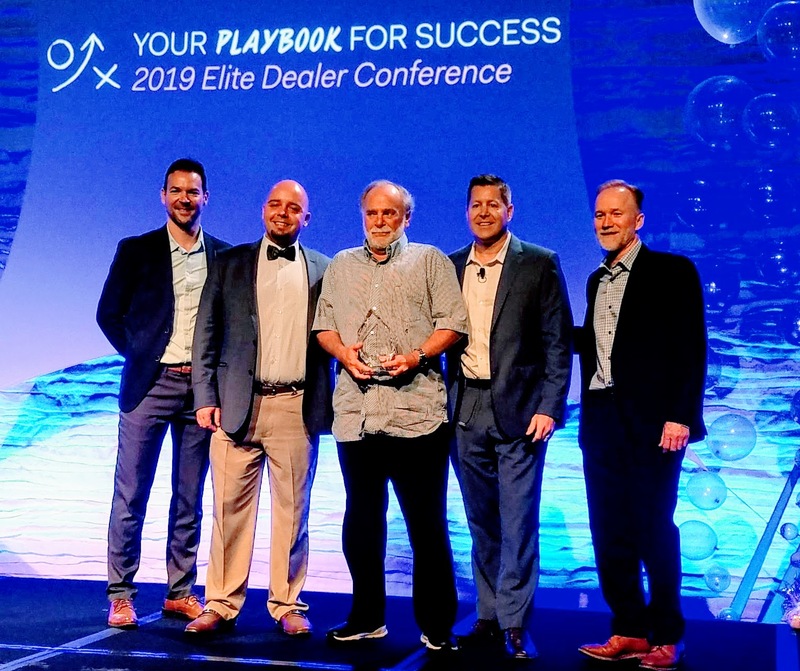 Our team has earned the Super Service Award from Angie’s List for eight consecutive years and we have an outstanding A Plus rating with the Better Business Bureau! 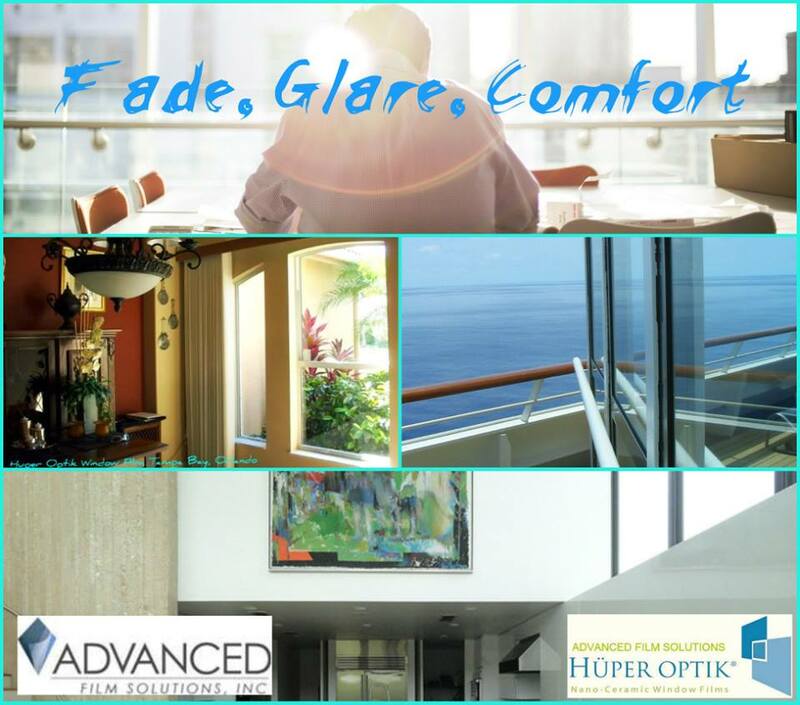 Energy savings, glare and UV control and privacy decorative films transform your clear glass windows and sliders. Lowered energy costs by up to 30% a month are backed with a lifetime warranty. 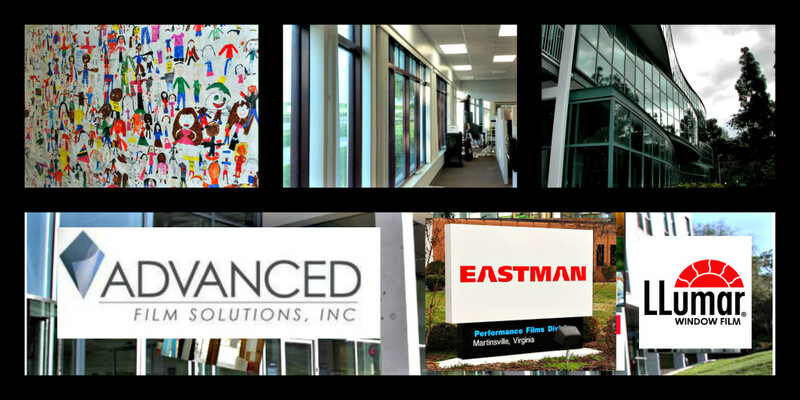 We represent the world leader in window film Eastman Chemical’s and their LLumar SelectPro window film. Ideal for any home or gated community our selection cover the entire spectrum of light transmission as well as aesthetics. 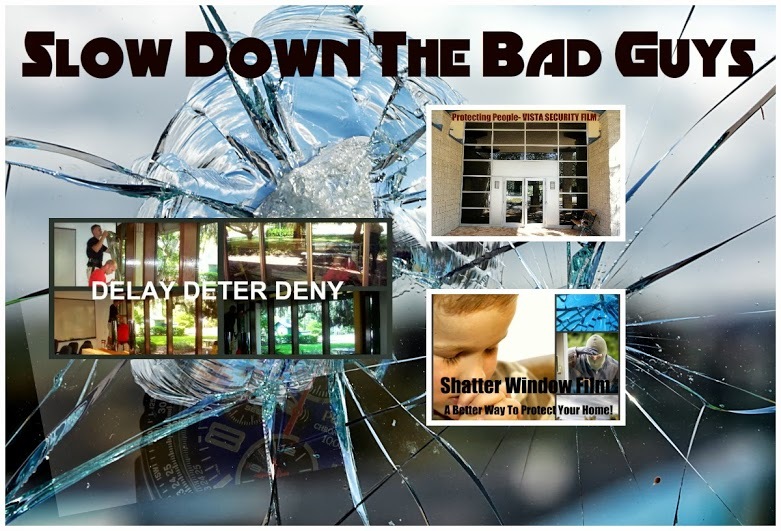 Home and business owners understand that your home and office windows and doors are the weakest point of entry. 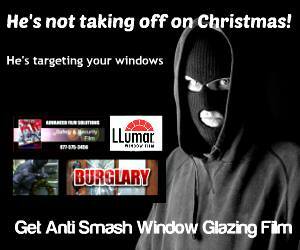 Burglars simply smash your windows or sliders and gain entry in seconds. 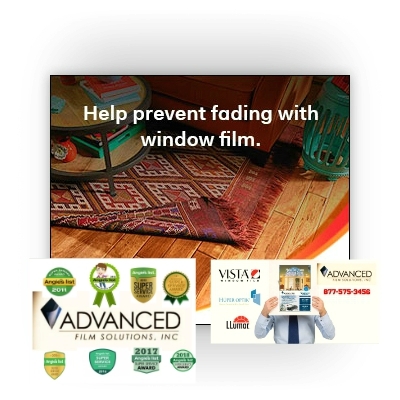 Advanced Film Solutions has a dynamic solution that will protect your home from impact and burglary while simultaneously lowering your energy costs, eliminating UV and maintaining comfort. Our Eastman Solar Safety Film is manufactured to withstand high impact. These 8 ML coatings have superior puncture strength, tensile strength and is available in dozens of iterations. One of our clients experienced an attempted break in but fortunately they were protected with our Vista Security Solar Film. These thieves were persistent and had to bend the door frames to gain entry! Our application held and allowed time for law enforcement to respond. 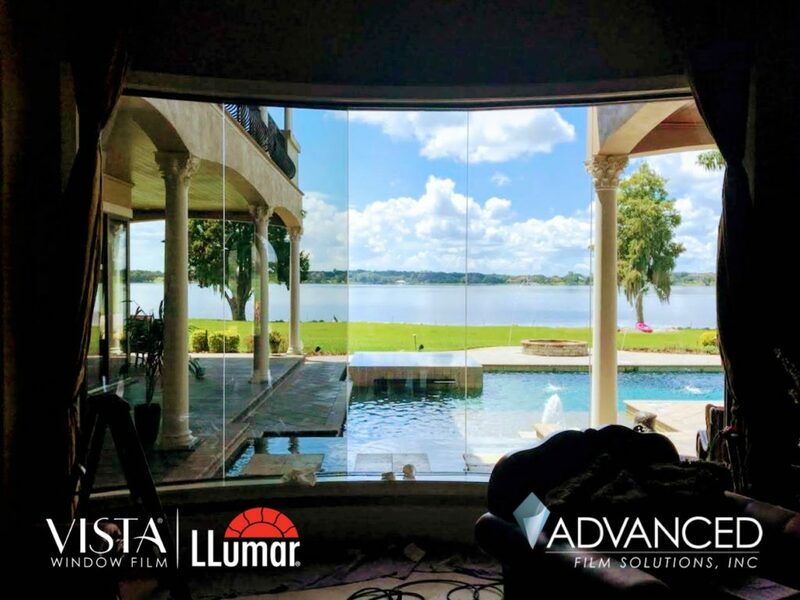 Homeowners in the Tampa Bay, Sarasota and Orlando area already have heat gain, UV and high cooling costs that our thinner solar films tackle every day. These thicker solar security films provide the best bang for the buck providing both security and energy positives for your home. Keeping your home safe against forced entry and flying debris is one of the key advantages of a security window film installation. 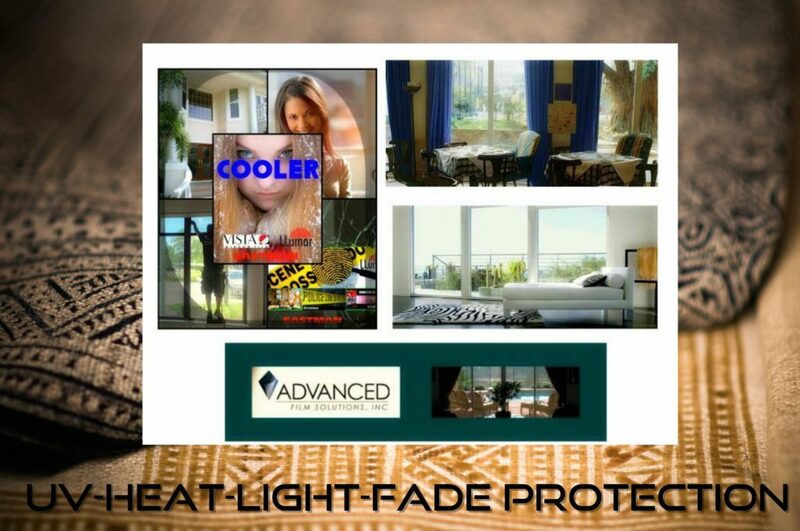 Advanced Film Solutions installs thicker (8 ML) coatings that are available in tinted solar versions that reduce heat gain, eliminate UV and reduce glare while protecting your home. These transparent coatings are designed to maintain the integrity of your windows and sliders against impact. 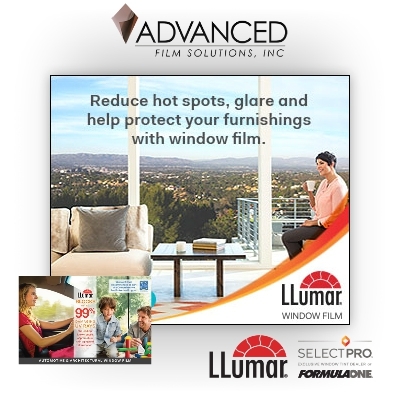 Advanced Film Solutions represents the leading window film solutions including Eastman Chemical’s LLumar, Vista, Madico, Armorcoa, Huper Optik and SunTek films. 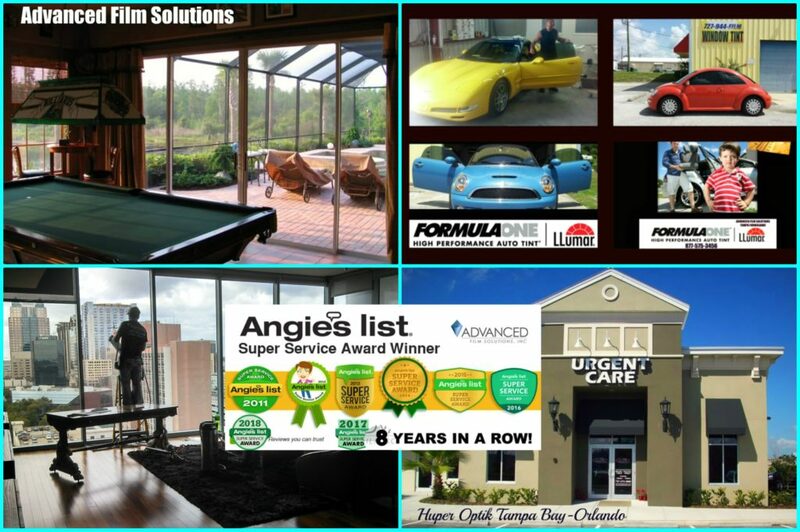 We are also Madico and Sunscape providers along with Hanita and Johnson coatings. 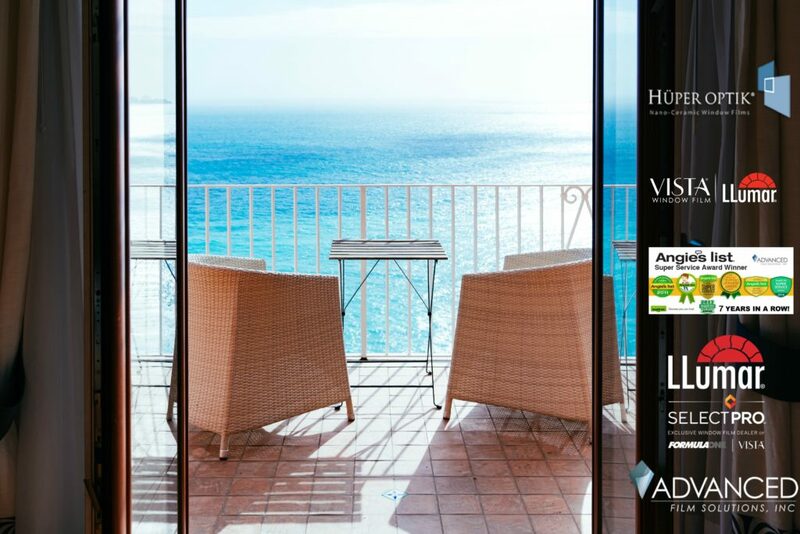 These unmatched choices allow our customers the widest and deepest choices of solar security films from clear to dark and reflective to less reflective than glass. 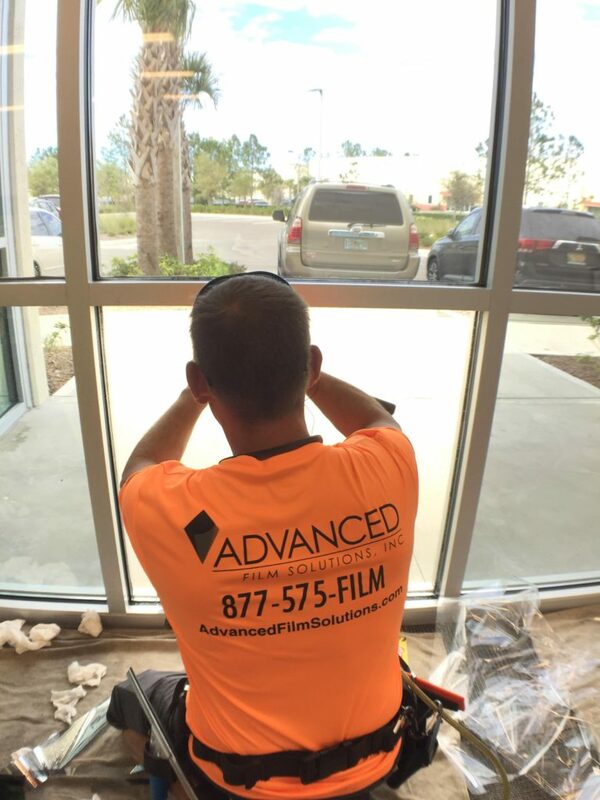 Advanced Film Solutions installers are experts in fastening systems designed to attach our window film to your glass and frames. 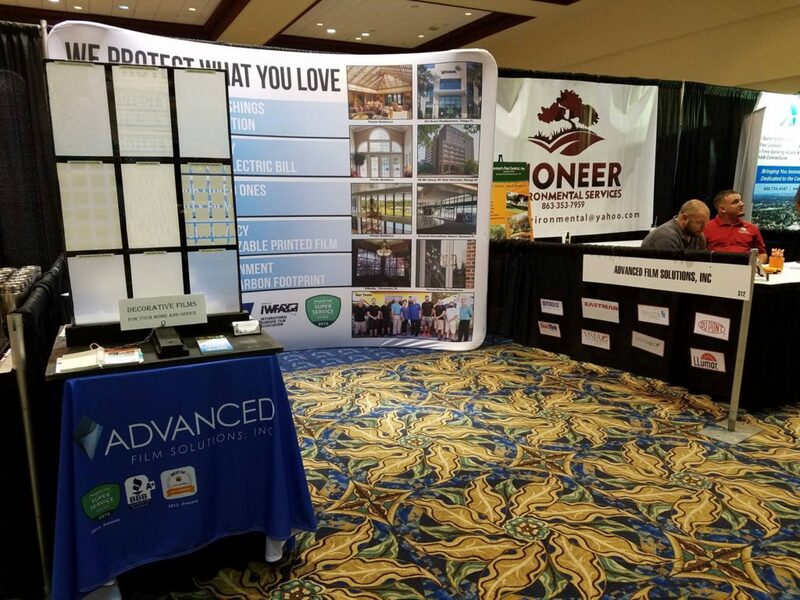 This additional level of protection is exactly the same benefit that we provided Sarasota International Airport, USF and many municipalities throughout the Florida region. Spring break time in Tampa Bay and keeping your home safer and comfortable for family and guests is more important than ever. Some rooms get too much glare and heat while other rooms get too cold. 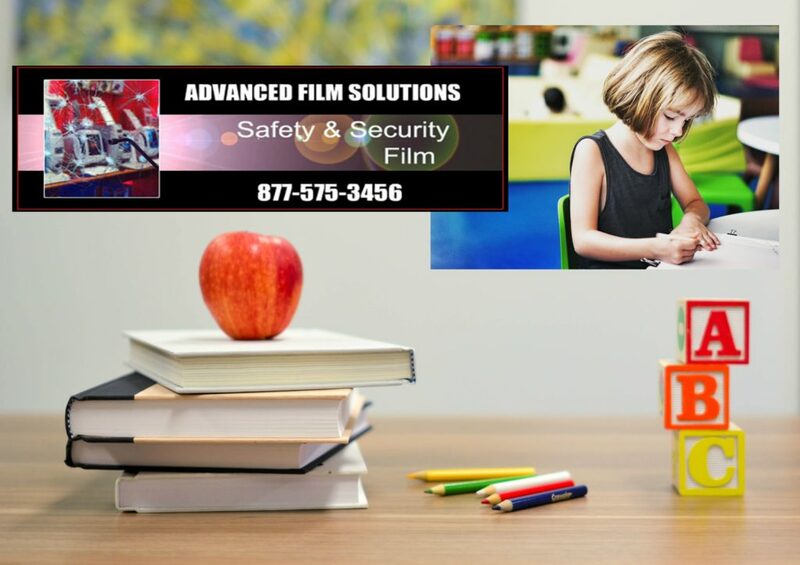 Advanced Film Solutions has the answer! Solar control window film maintains comfort in your home while reducing glare and filtering out nearly 100% of the UV. 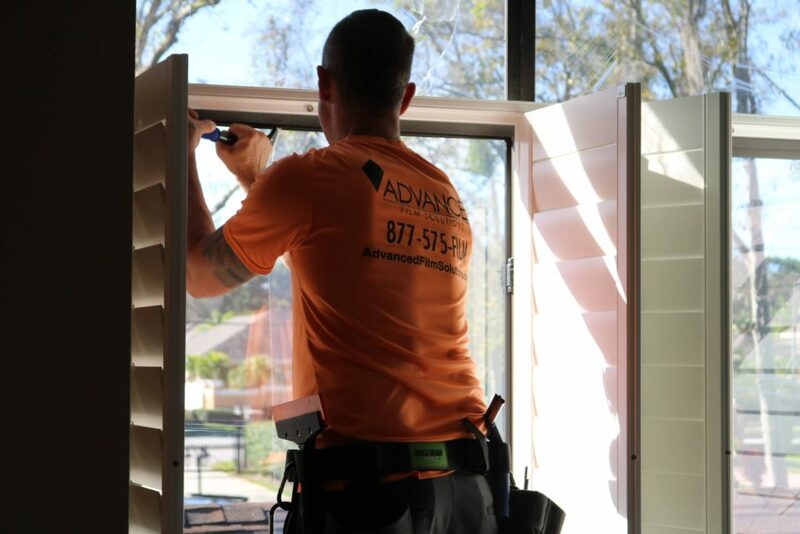 Summer savings are available throughout the entire month and our team of expert installers provide the perfect lifetime warranted installations. We offer the widest range of light transmissions and appearance. 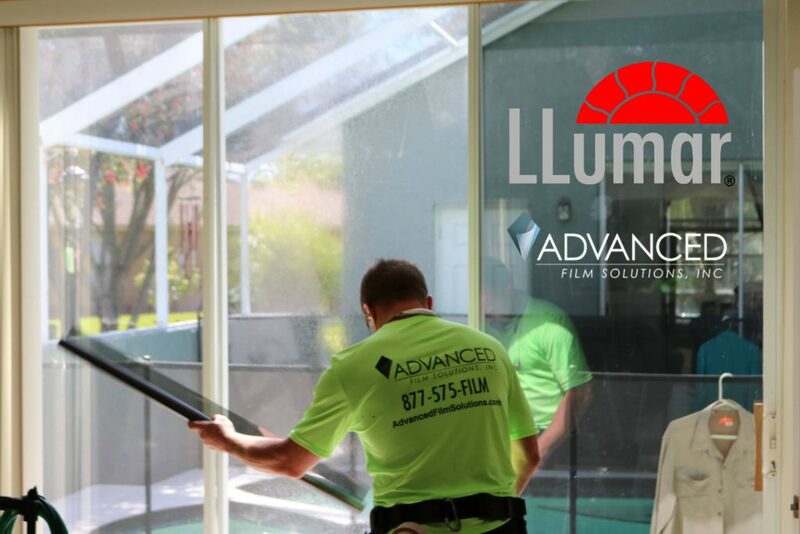 Our custom solutions includes non reflective Huper Optik ceramic films and Eastman’s LLumar and Vista solar and solar security films designed to promote home safety and security. 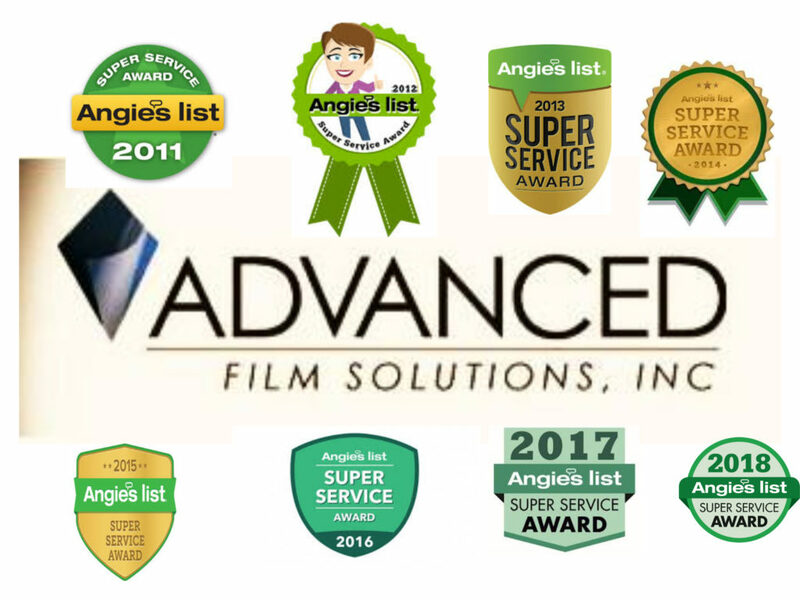 Advanced Film Solutions has earned the Super Service Award from Angie’s List for the last 8 straight years. 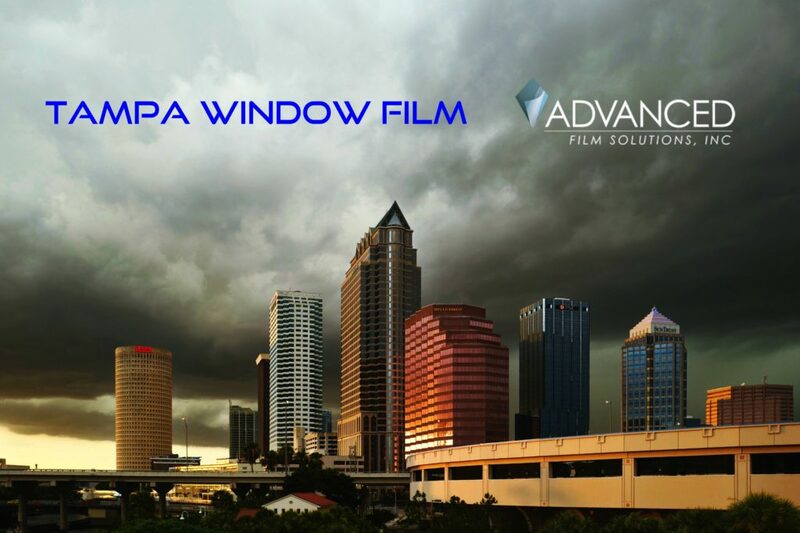 Advanced Film Solutions is one of the leading residential and commercial window film installation companies in the USA. 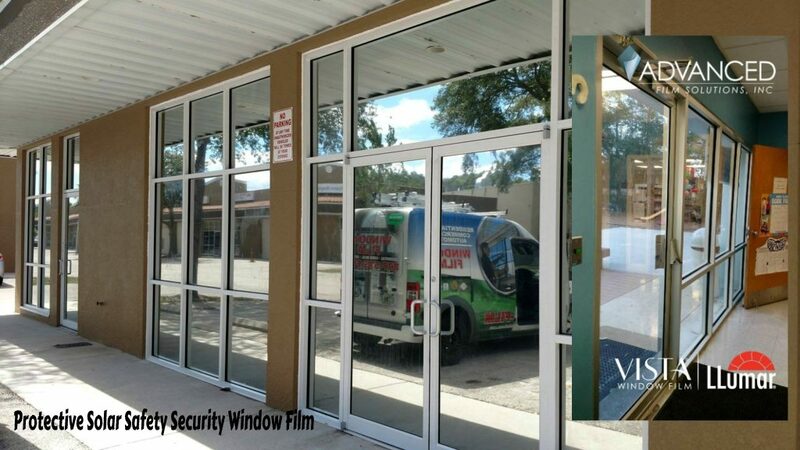 Our portfolio of solar and solar security films is unmatched in the Tampa Bay, Bradenton-Sarasota and Orlando region. 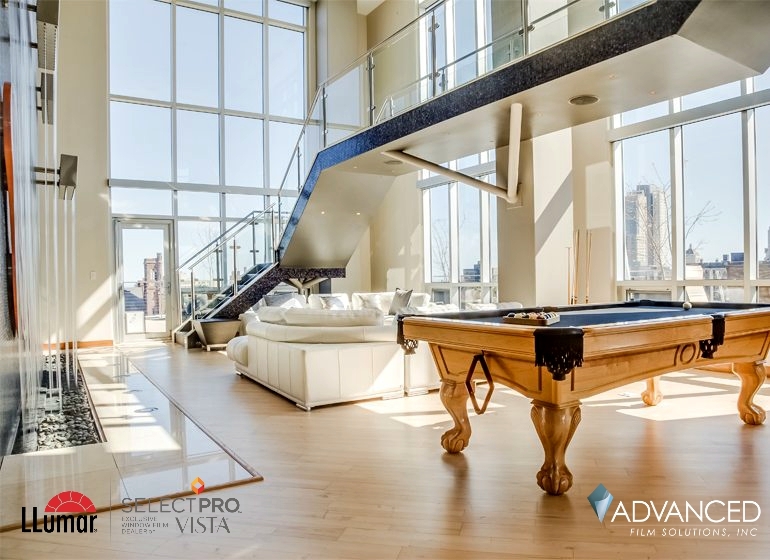 We have researched all major window film manufacturing alternatives and are experts in providing the best installations with durable high performance films. 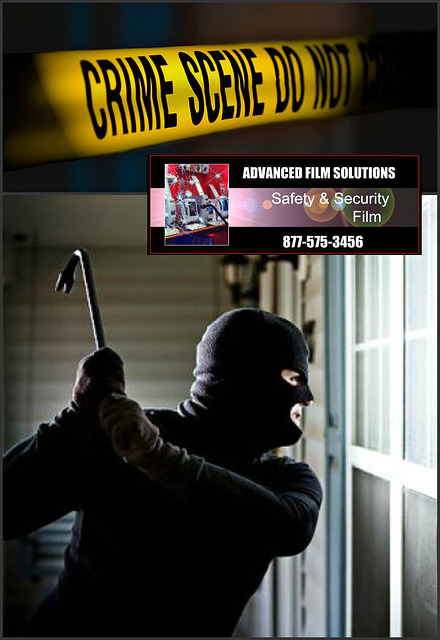 Protecting your home from burglars or impact takes a strong thicker security coating. 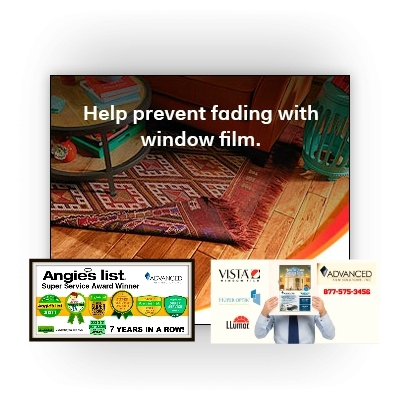 These films are designed to maintain the integrity of the window envelope. 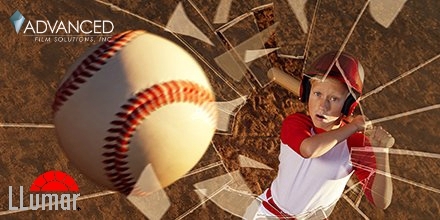 Highly tested (blast, wind) coatings are available in a wide array of choices ranging from dark to transparent films. All of our choices are 8 ML minimum thickness and we highly recommend an optional wet seal attachment system for larger sliders and windows. 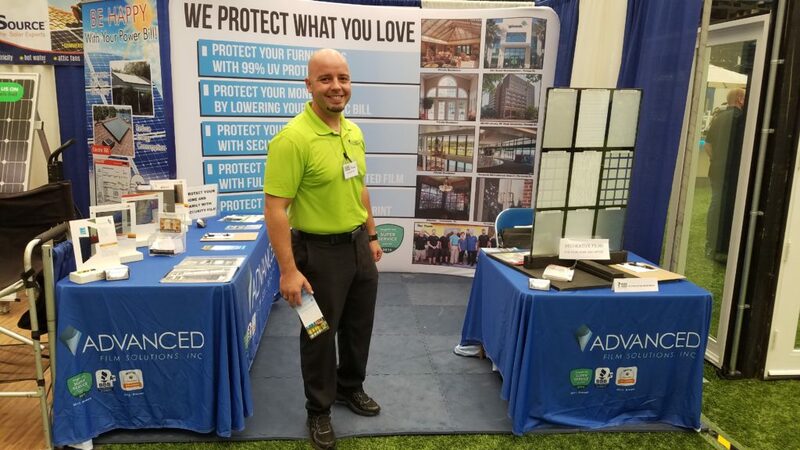 Our solutions include the full line of Eastman Chemical’s Vista, LLumar SelectPro, Huper Optik, SunTek as well as Madico, Hanita and Armorcoat. 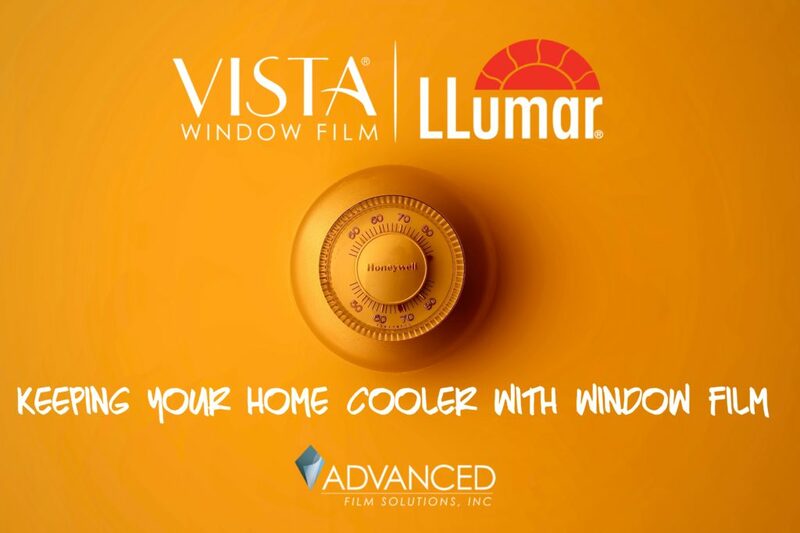 All installations are protected with a lifetime warranty and several Vista choices have a transferable lifetime warranty. 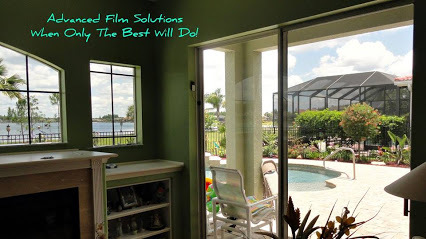 Solar security combination films give the homeowner additional cost savings in lowered energy usage, glare and UV rejection and comfort throughout our long tropical summers. We provide a free estimate and our objective is to always meet and exceed our customers requirements. 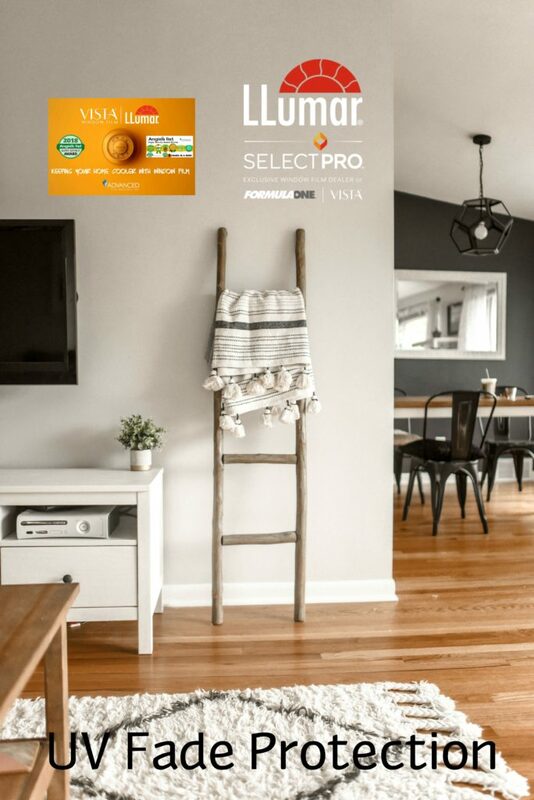 That’s why we are unique by having earned the Super Service Award from Angie’s List for eight consecutive years and an A Plus Rating with the Better Business Bureau! Many local homeowners are concerned about protecting their homes from burglary and forced entry. They are also investigating methods for reducing their cooling costs, lowering glare and preserving furnishings from harmful UV rays. 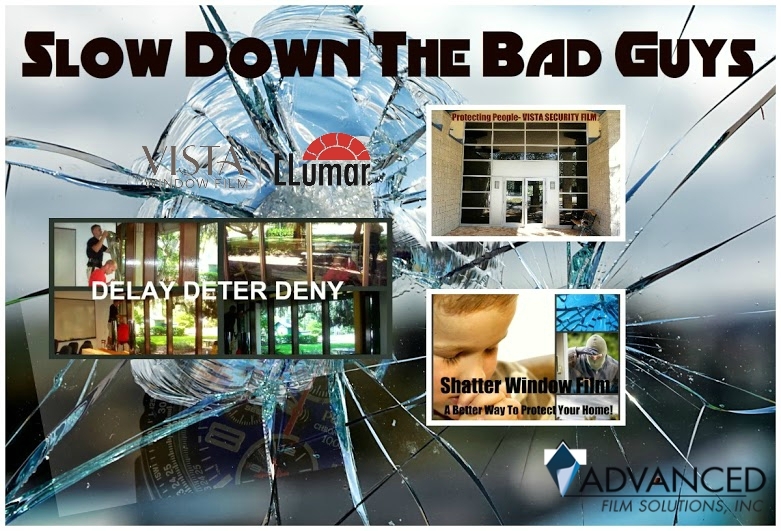 Advanced Film Solutions recommends the installation of combination solar security window film. 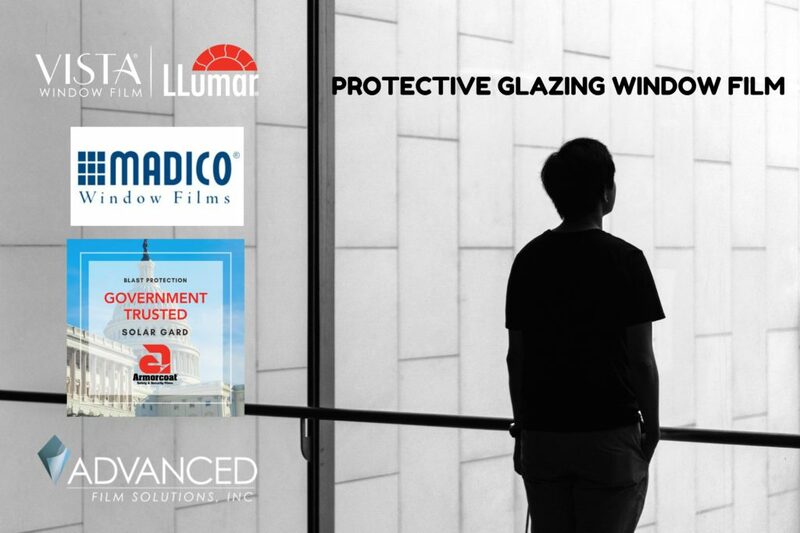 Solar security window film combines the solar filtering protection with thicker (8 ML) shatter resistant coatings. 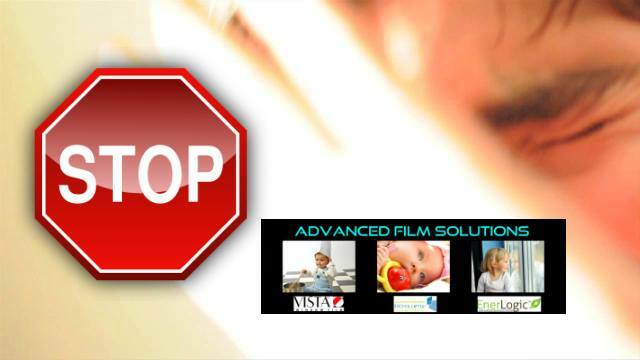 Once applied these films block 99.9% of the UV and up to 80% of the heat gain. 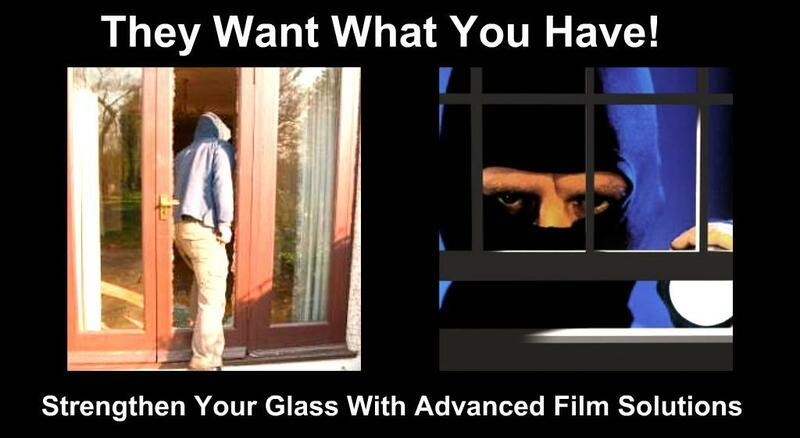 In terms of security and safety these films increase protection against forced entry and flying glass. There are dozens of selections to choose from so we suggest you call toll free at 877-575-3456 for a free estimate. It wasn’t an intentional mistake that your home builder made when they determined what type of glass would be included in your brand new home. They were likely hoping to make your Florida home bright and inviting. If you have a gulf or lake view they were counting on this to motivate a sale. If you are rolling in cash and price is no object; you should call a window replacement company who will charge thousands of dollar a window. While you are at it, don’t forget that oil change on the Maserati! Yeah I know you are thinking that window film is some type of temporary solution that will bubble or turn purple. 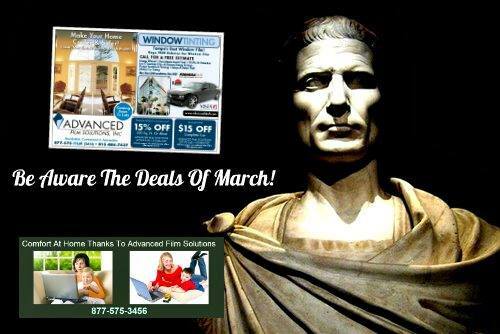 Technological improvements have taken your granddaddy’s window film into the 21st Century . First of all these durable coatings are dye free and will last for decades. Thin films can be nearly invisible and yet remain effective by factoring out invisible IR wavelengths. 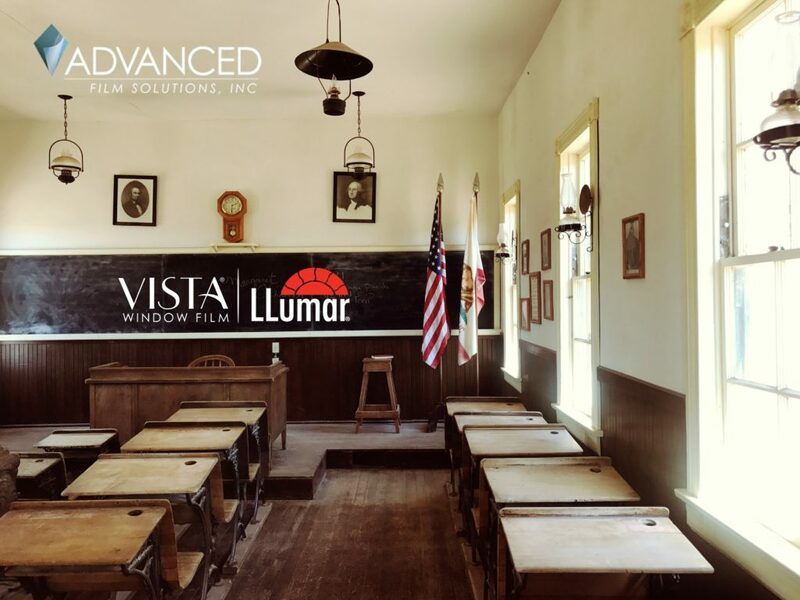 Your window film investment will be less than 10% the cost of a window replacement and our films are all NFRC certifed for accurate performance expectations. 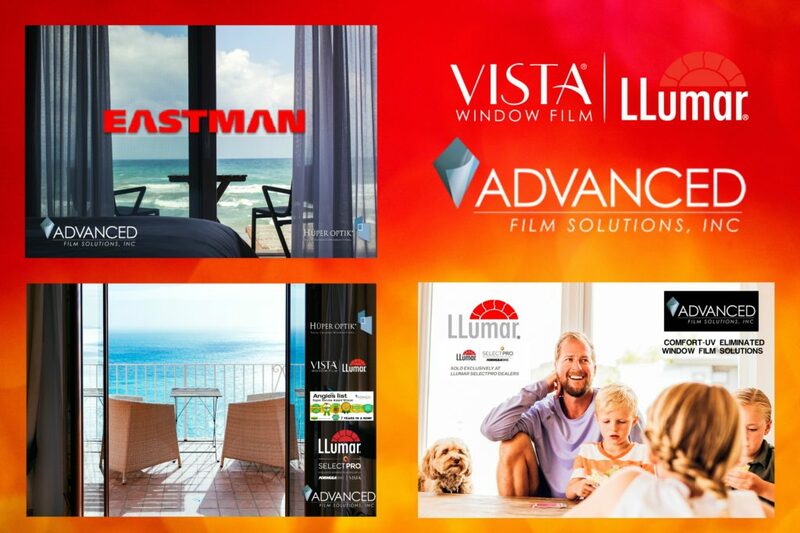 Leading solutions by global giant Eastman Chemicals the world leading supplier of advanced window film coatings. 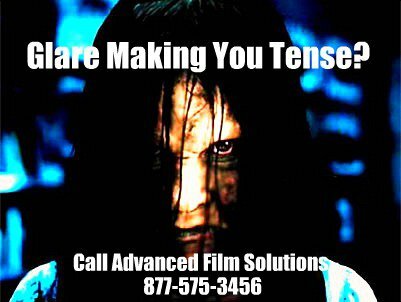 All films have a lifetime warranty and here in Florida that means no bubbling, adhesive failures or haze. 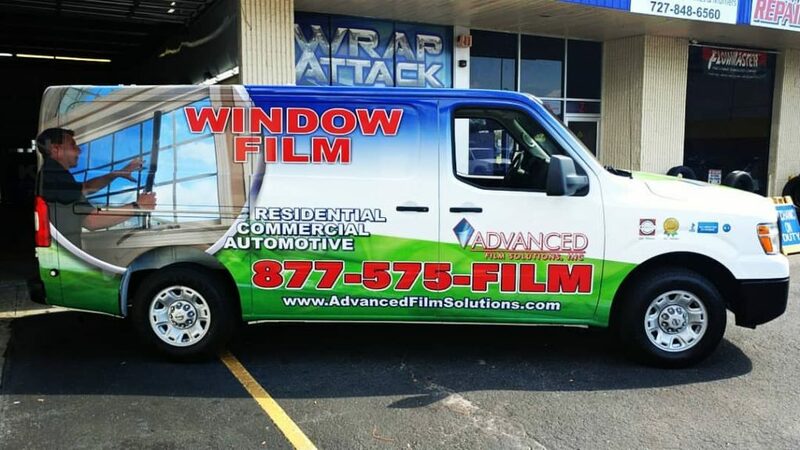 Tampa Bay, Orlando, Sarasota’s leading installation company Advanced Film Solutions provides free estimates. You’ll love your transformed windows and still keep that view! 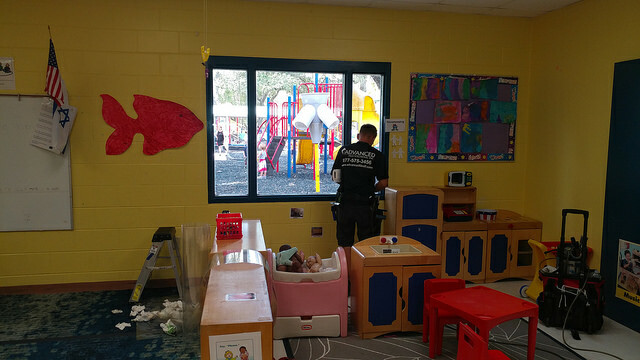 Advanced Film Solutions has been protecting schools and day care centers throughout Tampa Bay, Orlando and Sarasota with security glazing window film. These transparent coatings are thicker and the adhesive stronger than standard solar control window film. Typically 8 ML thick, security glazing window film is designed for maximum impact strength, tensile strength and puncture resistance. 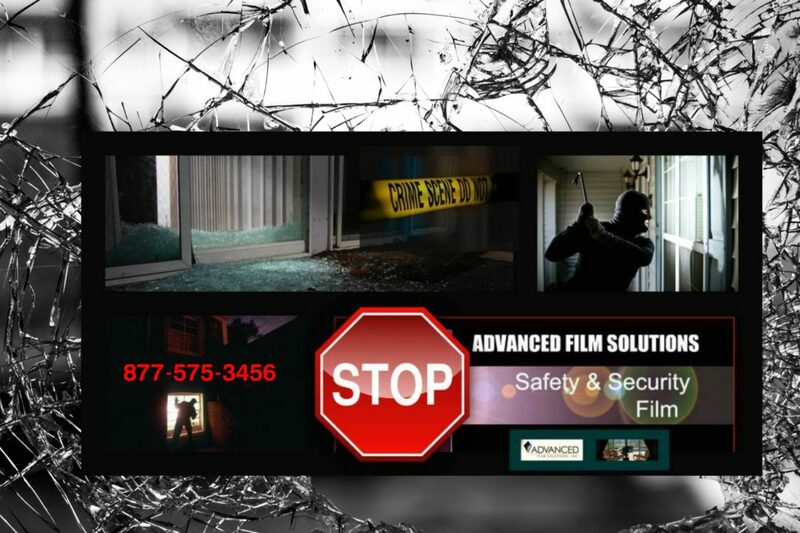 There are instances when a privacy security film should be considered during a lock down event or safe room situation. 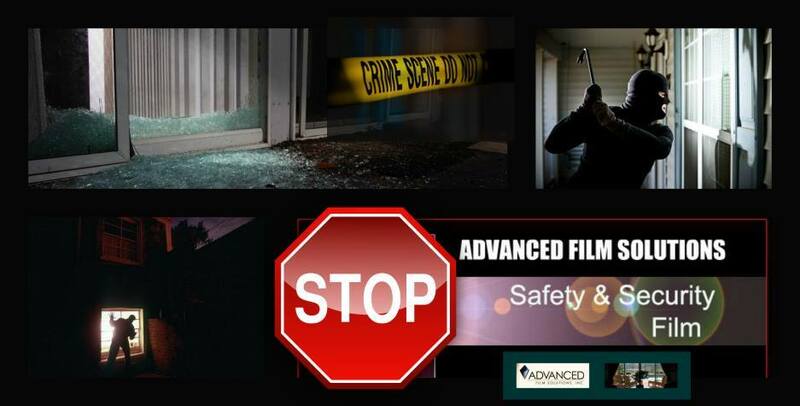 These films will provide visibility from the interior to the street but prevent targeting from the exterior. The safety administrators for these institutions prefer the covert nature of these coatings. 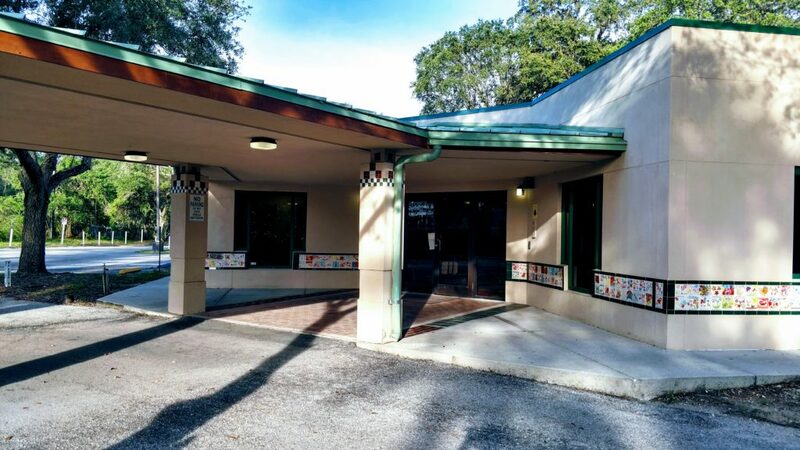 The appearance of the school’s windows can remain unchanged or if they prefer a lightly tinted coating for energy savings and glare reduction. 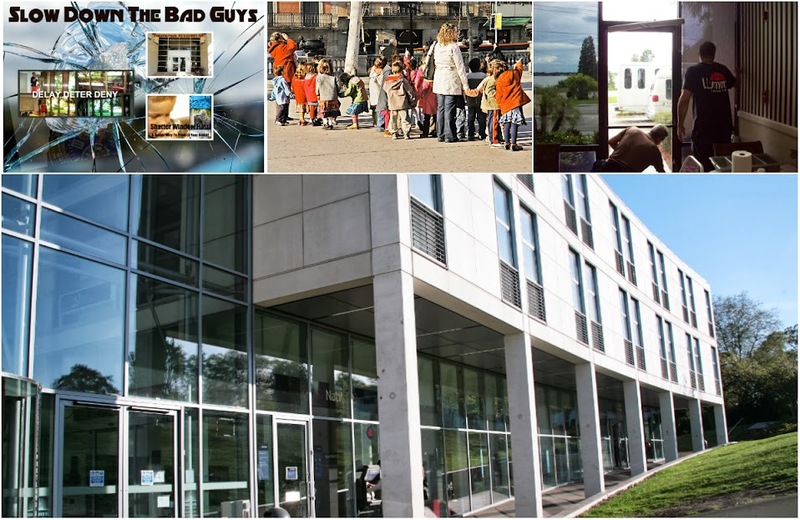 The objective is to keep the “bad guys” out and security glazing window film maintains the window envelope. These films are the very same coatings used on the US Capitol Building and embassies throughout the world. 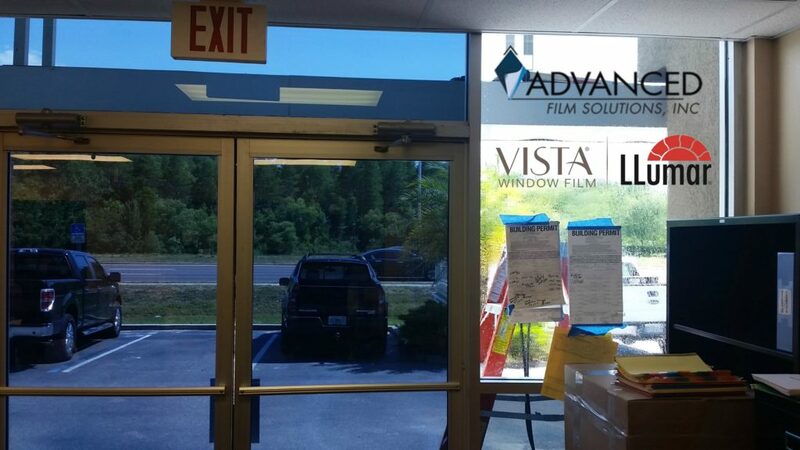 Advanced Film Solutions is Florida’s leading installer of high security impact window films. Today’s unfortunate challenges for student and faculty protection are the driving force for these installations. 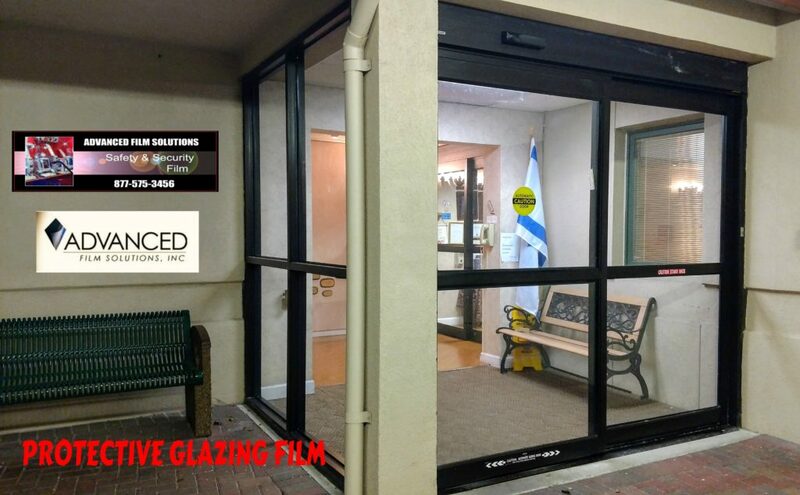 One of the most effective home or office glass improvement is an application of security glazing window film. 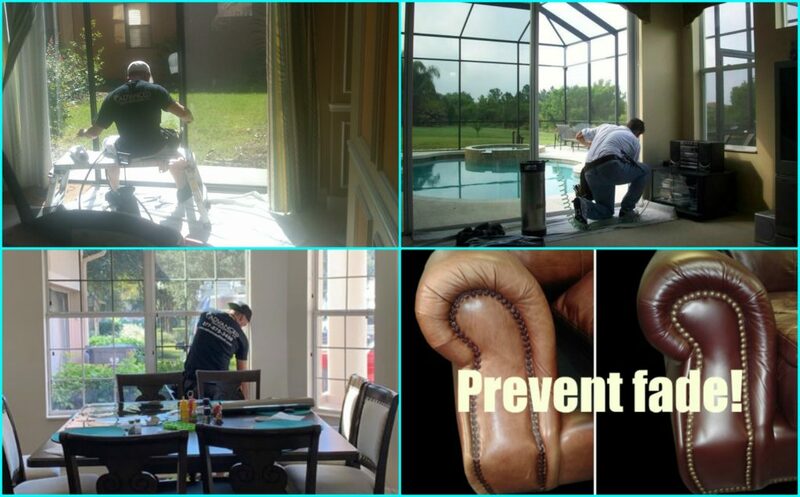 Protective film is applied to the interior side of your windows, glass doors and sliders. Thicker coatings these films have been used by the Federal government to protect personnel from blast events since they have been proven to be effective by the GSA and Department of Defense. 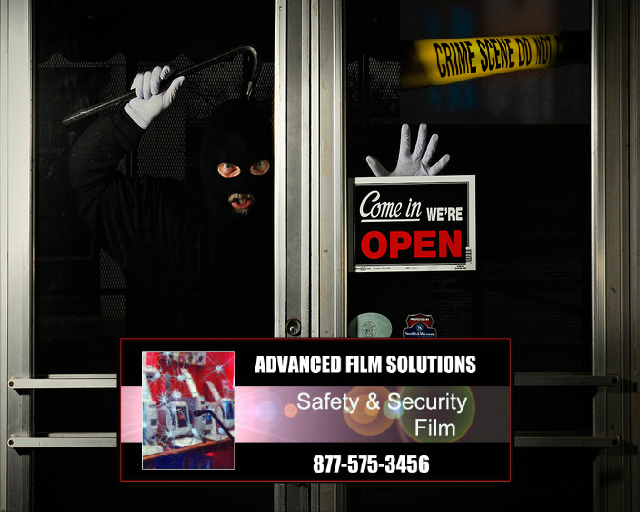 Commercial offices and retail stores use these films to protect against smash and grab robbery as well as privacy requirements. 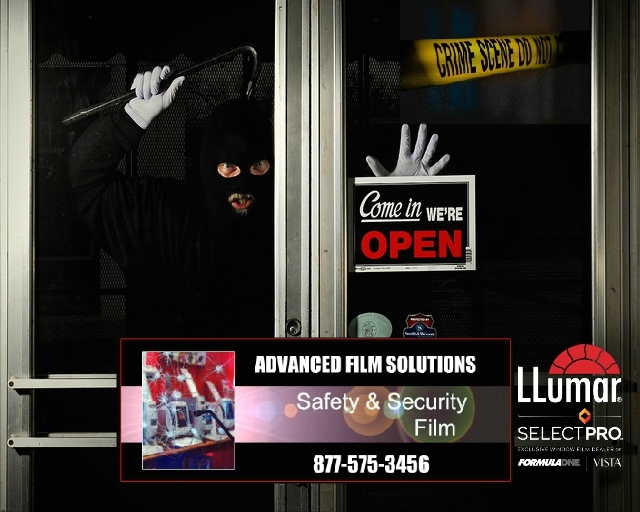 As a Florida home or business owner how do these security films offer you a true benefit? 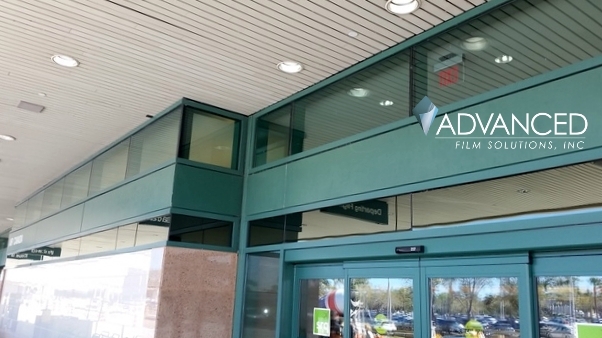 Advanced Film Solutions recommends thicker security film applications when you are seeking solar benefits like lowered electric bills, comfort and privacy. 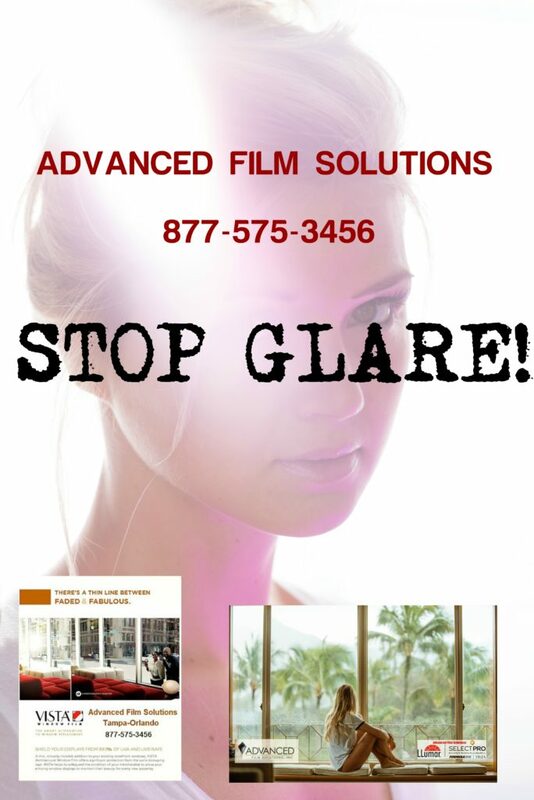 Dual purpose solar safety films stop heat and glare while providing the effective barrier against intrusion. Dual benefit security solar films can block up to 80% of the heat from entering your home. Will slow down, deny entry allowing law enforcement addition time to respond. May qualify for tax incentives.